﻿Binge drinking in young, healthy adults significantly disrupts the immune system, according to a new study. Depending on their weight, study participants drank four or five shots of vodka. Twenty minutes after reaching peak intoxication, their immune systems revved up. But when measured again, at two hours and five hours after peak intoxication, their immune systems had become less active than when sober. The study was published online in the journal Alcohol. 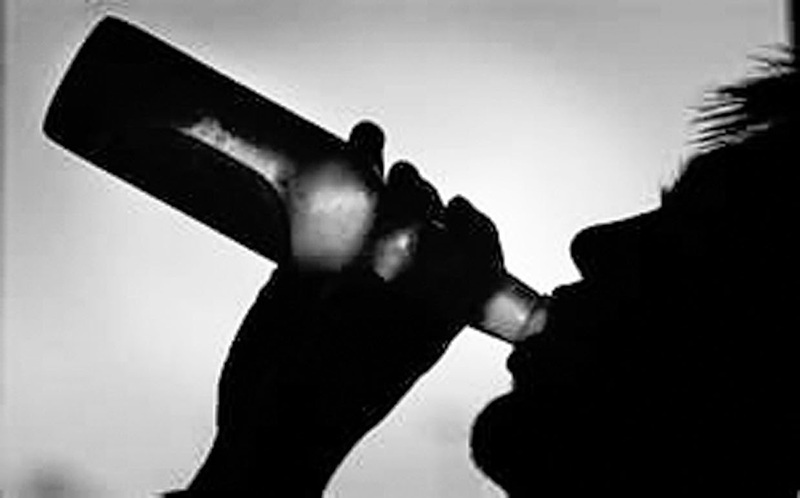 Binge drinking increases the risk of falls, burns, gunshot wounds, car accidents and other traumatic injuries. One-third of trauma patients have alcohol in their systems. In addition to increasing the risk of traumatic injuries, binge drinking impairs the body's ability to recover from such injuries. Previous studies have found, for example, that binge drinking delays wound healing, increases blood loss and makes patients more prone to pneumonia and infections from catheters. Binge drinkers also are more likely to die from traumatic injuries. This study illustrates another potentially harmful effect of binge drinking. The National Institute on Alcohol Abuse and Alcoholism defines binge drinking as drinking enough to reach or exceed a blood alcohol content of .08, the legal limit for driving. This typically occurs after four drinks for women or five drinks for men, consumed in two hours. One in six U.S. adults binge drinks about four times a month, and binge drinking is more common in young adults aged 18 to 34, according to the Centers for Disease Control and Prevention. The study included eight women and seven men with a median age of 27. Each volunteer drank enough shots of vodka - generally four or five - to meet the definition of binge drinking. The researchers took blood samples at 20 minutes, two hours and five hours after peak intoxication because these are times when intoxicated patients typically arrive at trauma centers for treatment of alcohol-related injuries. The blood samples showed that 20 minutes after peak intoxication, there was increased immune system activity. There were higher levels of three types of white blood cells that are key components of the immune system: leukocytes, monocytes and natural killer cells. There also were increased levels of proteins called cytokines that signal the immune system to ramp up. Two hours and five hours after peak intoxication, researchers found the opposite effect: fewer circulating monocytes and natural killer cells and higher levels of different types of cytokines that signal the immune system to become less active. The researchers are planning a follow-up study of burn unit patients. They will compare patients who had alcohol in their system when they arrived with patients who were alcohol-free, and will measure immune system markers from each group, and compare their outcomes, including lung injury, organ failure and death. Originally published by Loyola Medicine.